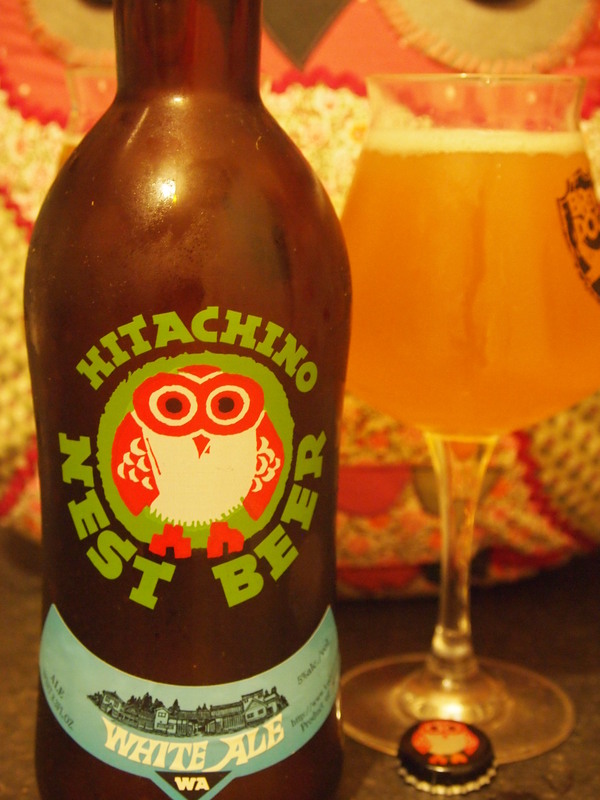 As a big fan of owls, I really cannot resist the ridiculously cute labels on the Kiuchi Brewery‘s Hitachino Nest range of beers. Kiuchi have traditionally brewed Kikusakari sake but branched out into beer in 1996 and have scooped a number of awards for their range since. A while ago the Brewdog online store had them in so I just had to snap them all up. They’re so cute that I’ve almost been reluctant to drink them as they’re a joy to just have out on the shelf but, since we were having an Asian-inspired dinner tonight, I decided this was the perfect occasion to open the White Ale (5.5%) I had been hanging on to. In the glass, it’s a really beautifully cloudy golden yellow with a crown of joyful, albeit fleeting white clouds, reminiscent of the autumn sun through the trees. Fresh, sweet orange and corriander leap out on the nose. The flavour is clean and dry and has a really well-balanced herbal nutmeg and corriander twang up-front followed by a bitter and super-dry marmalade orange. Throughout the whole thing there’s a rustic wheatiness and a touch of tropical pineapple acidity, elegantly topped with a sprinkle of white pepper. This is possibly my favorite of all the Hitachino Nests so far. It was the perfect refreshment for my spicy, salty black rice and salmon dish but the style was decidedly more European than Asian. Delicious nevertheless! Another win for those owls but then everyone is fond of owls.